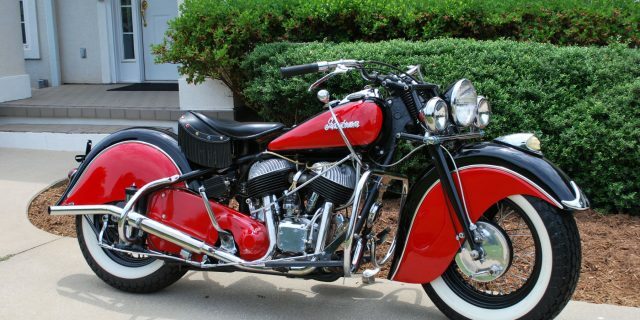 This 1948 chief is the favorite of most that like this era of the machine. This a true matching numbers bike. The frame is in remarkable condition as is the rest of the bike. It’s been tastefully restored. 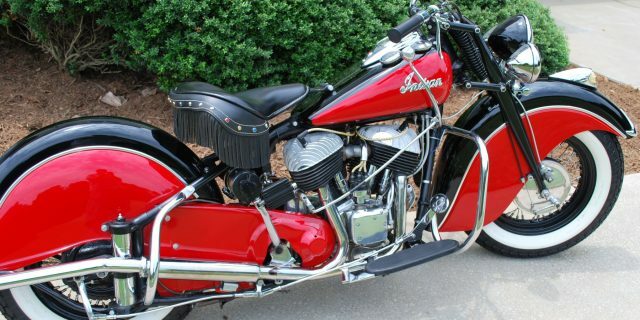 I like having some bikes that look like they came off the assembly line correct and I like having them as I think I would have had the bike looking in the day. 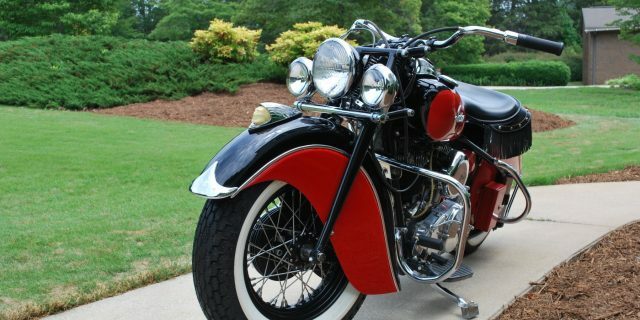 This one is a good cross between correct and a bit over restored. It hasn’t been ridden much since its’ initial restoration over 10 years ago. It’s a recent purchase and we’ve about got it dialed in as a good rider. It retains its 6 volt system and has electronic ignition. The wheels are the real deal laced with stainless spokes. 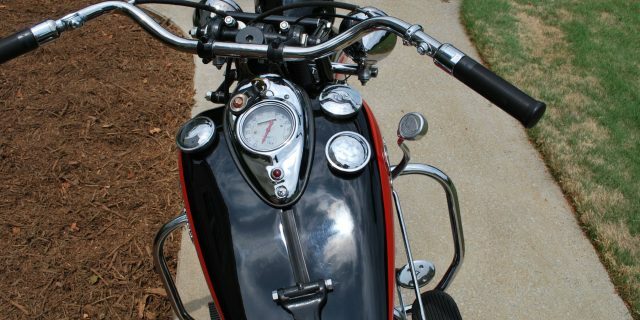 Like an old Indian should be it is left hand throttle with right hand shift. Very smooth king clutch and a smooth shifting bike.